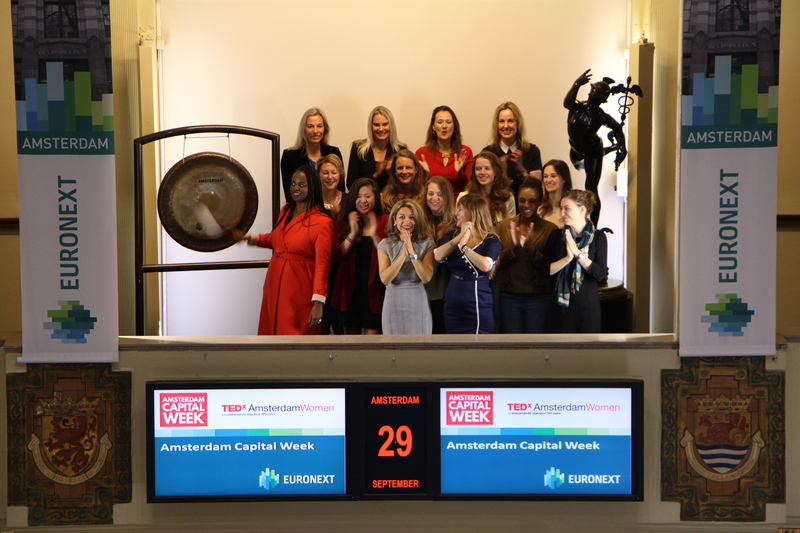 The gong at the Amsterdam Exchange sounds for female entrepreneurship: TEDxAmsterdamWomen and Amsterdam Capital Week sounding the gong to celebrate the third edition of Amsterdam Capital Week 2017 and the success of female entrepreneurship. Amsterdam Capital Week hosted more than 20 events in Amsterdam this year, bringing together both national and international startups and scale-ups with investors. This year, around 500 investors from around the world were present at Amsterdam Capital Week, plus 3000 startups in various investment phases. The encouragement of female entrepreneurship is once again a recurring theme that, in collaboration with TEDxAmsterdamWomen, will get a stage this year. Among the attendees are the three finalists who represent their startup on November 2, 2017, at TEDxAmsterdamWomen. 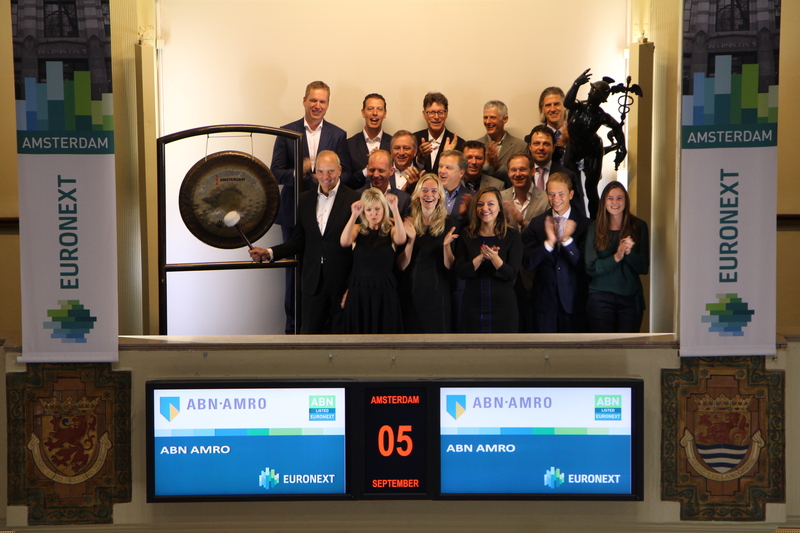 Euronext’s Amsterdam stock exchange is opened by the AH Foundation, which celebrates its 10-year anniversary this month. Chairman Cees van Vliet, director of stores and logistics of Albert Heijn, sounds the gong together with colleagues and employees. The AH Foundation is collaborating with the ICCO development organization. Together they develop programs for employees of suppliers in Africa, in the fields of education, housing and healthcare. This year, the AH Foundation will expand to South America. Over the last ten years, over 30,000 children and adults in ten different African countries have enjoyed education through the AH Foundation. Together with suppliers, investments were made in new schools, resource centers and lesson programs. For example, 29 schools were built or renovated through the sale of fresh fruit salads from Ghana. Albert Heijn is part of the Euronext listed Ahold Delhaize (ticker symbol: AD). Euronext was delighted to welcome in its premises the attendees of the “Invest in Bountiful Indonesia” conference on 27 September 2017. This panel discussion hosted by the Embassy of the Republic of Indonesia, in cooperation with Euronext Brussels, featured the President Director of the Indonesian Stock Exchange, Mr. Tito Sulistio, as guest speaker, as well as H.E. Yuri Thamrin, Ambassador of Indonesia in Belgium. This gathering allowed participants to exchange views on recent economic developments in Indonesia, to gain insight on the Indonesia’s business climate, the Indonesia’s Stock Exchange and capital market potentials. 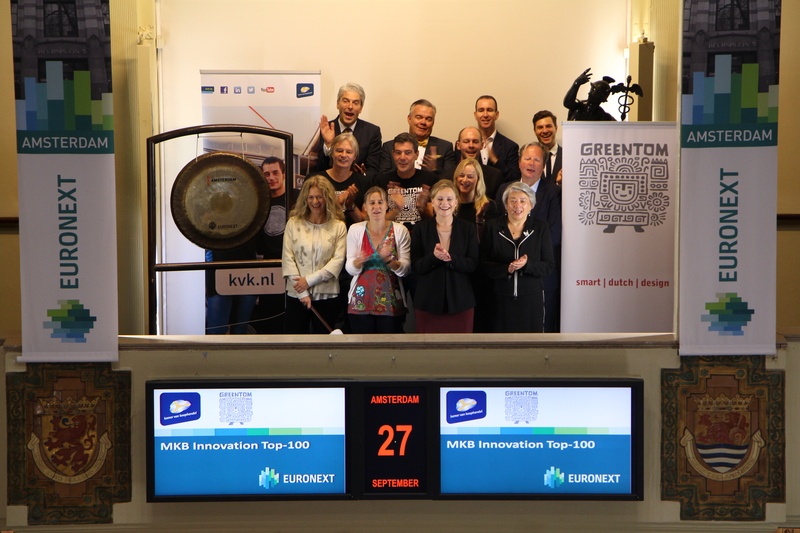 The Maastrichtian Greentom sounds the gong for winning the 12th edition of the MKB Innovation Top 100. This year, the Chamber of Commerce organized the SME Innovation Top 100 for the 12th time. Greentom, the world’s first producer and supplier of 'green' strollers, made it to number one and is therefore the most innovative MKB company in the Netherlands. All materials of Greentom strollers are durable; from natural substances to recycled drinking bottles. The baby buggies can be assembled within five minutes and after use, all parts can be reused or recycled. Because Greentom produces worldwide, the stroller is made from local sources and the environmental impact of shipping is limited. The strollers are sold in more than 20 countries. Philips (ticker symbol: PHIA) opens trading on the occasion of World Heart Day on 29 September. A global leader in health technology and proud partner of the World Heart Federation (WHF), this World Heart Day Philips is calling for people to act now and take control of their own health. Philips understands the importance of heart health and see food and drink as crucial elements in helping to increase the number of healthy hearts in the world. Believing that homemade food has the power to nourish like nothing else – cooking and eating at home gives control over the ingredients, brings families and people together, enhances relationships and helps to build healthy routines for life. A healthy heart and circulation system starts with a balanced diet. Philips developed the Airfryer and introduced this innovation in 2010 as the first of its kind. In September 2017 Philips introduces the Airfryer XXL a bigger and more powerful version, and has fat removal technology. The Philips Airfryer XXL uses hot air to fry foods with little or no added oil, so fat can be reduced by up to 90%. 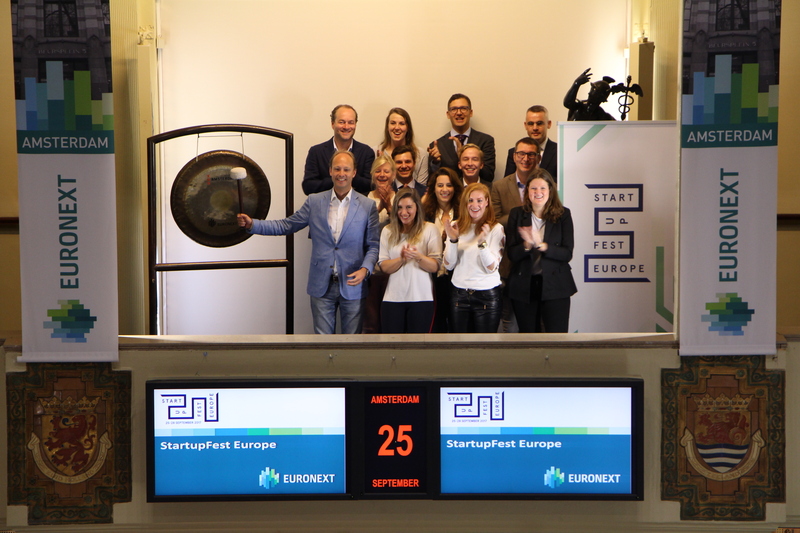 StartupDelta opens Euronext’s Amsterdam exchange for StartupFest Europe. This year, StartupFest Europe, a festival where start-ups and scale-ups find the funding to grow their business, will take place from the 25 to 28 September. Among other things, they get the opportunity to pitch their idea to more than 300 venture capitalists. This year’s theme is Global Challenges, Startups Solutions. StartupFest's program consists of the main event, CapitalFest, and a series of thematic events spread across the country. All of these events include organized matchmaking between start-ups, scale-ups, investors, corporates and a series of international top speakers. Werner Vogels (CTO Amazon), Slava Rubin (Founder Indiegogo), Boyan Slat (Founder The Ocean Cleanup) and Pieter van der Does (CEO Adyen) will speak at CapitalFest on the 27th of September at the Beurs van Berlage. 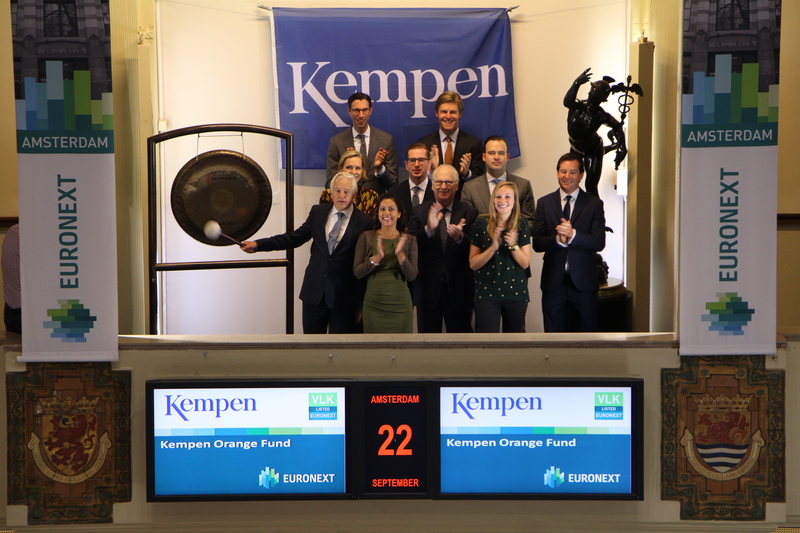 Kempen Orange Fund has received a Gold rating from Morningstar in the category ‘Aandelen Nederland’ (Dutch Shares). The Gold rating applies to 6% of the funds that Morningstar issues worldwide for a comprehensive, qualitative analysis. To celebrate this, the trading is opened by Kempen. According to Morningstar, the increase of a Silver rating to a Gold rating has several reasons: "Our highest confidence is based on our appreciation of the qualities of this team and the strong and proven process that is carried out very consistently. The administrators have clearly added value: in the long term, the fund performs consistently better than the category and relevant indices. In this strong track record, the fund rarely has had a weak year. " Kempen has been a small-cap investment specialist for over 25 years and started the Kempen Orange Fund, the first small-cap fund of the asset manager, in 1991. In the meantime, the number of small-cap mutual funds has been expanded and five different small-cap funds are offered by Kempen. This year marks the tenth year that KPN Mooiste Contact Fonds is fighting against loneliness in the Netherlands. For this reason, KPN (ticker symbol: KPN) hosts its annual congress against solitude, Thursday 21 September. This date is also the start of the National Week against Solitude (Week tegen Eenzaamheid). 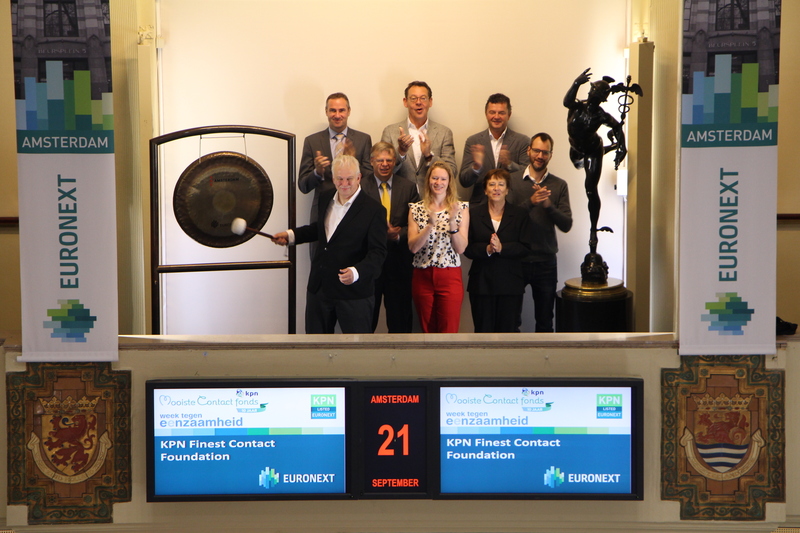 On this occasion they sound the gong at the Amsterdam exchange of Euronext. Over a million Dutch people feel very lonely, and the influence of loneliness is great. When it lasts for a long time, loneliness can lead to health risks and low participation in society. With the Week Against Solitude, Coalitie Erbij asks for attention of this problem. Throughout the country, activities are organized where people with a small social network can connect with new people and strengthen existing contacts. KPN Mooiste Contact Fonds is core partner of Coalitie Erbij. The Dutch participants and partners of the third edition of the Euronext TechShare program 2017-2018 sound the gong to open trading. TechShare is an educational program that is specifically aimed at fast-growing and innovative tech companies, who want to know more about the process around an initial public offering. The program helps owners and directors of tech companies to better understand the function and dynamics of the financial markets. CEOs of the participating parties are better able to assess the possibilities of a listing and their opportunities in relation to their strategy and growth ambitions. The official start of Techshare 2017-2018 is at the HEC in Paris, on 29 September. On behalf of Euronext, this international renowned business school in Paris provides a two-day campus for all participants. All companies and partners from both Belgium, France, the Netherlands and Portugal are present. Throughout the year, various workshops and interactive sessions take place, with all local partners and companies. Dutch partners of the TechShare program are ABN AMRO, AFS Group, Baker & McKenzie, Brainport Development/Brainport Network, Citigate First Financial, Deloitte, Kempen & Co. and Rutgers & Posch. Each partner exposes a specific subject within the process of a possible listing during their workshop. In addition to the detailed information, Techshare provides all the participants with many valuable new contacts. 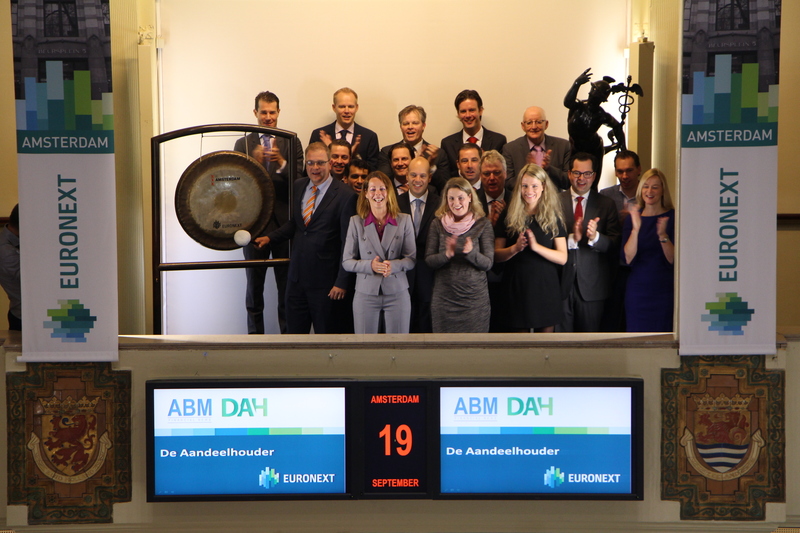 The trading day on Euronext’s Amsterdam exchange is opened by the team behind Deaandeelhouder.nl (DAH). The website has been completely renewed and, together with columnists such of – among others – ING and Benelux newswire ABM Financial News, investors are kept up-to-date on the Amsterdam exchange. De Aandeelhouder offers private investors a platform with investment information, providing the self-investor with support in making their own investment decisions. By sounding the gong, attention will be paid to the Fondsevent, which will take place 25 September in Amsterdam. This year, the event has the theme "At the break of old and new" which looks to both history and future with inspiring speakers and top investors of nine asset managers. The event is the largest knowledge and networking event in the Netherlands for private banking, asset managers and investment advisors. In this year’s plenary part of the event, attention will be paid to the increasing influence of psychology on customers and earning models. The issues includes how the advisor or asset manager can influence the behaviour of his client but also how they can customize their own behaviour for them to be better prepared for opportunities offered in a rapidly changing world. Fondsevent is organized by Fondsnieuws - part of the FD Media Group - in collaboration with nine renowned fund houses: Allianz Global Investors, BNP Paribas Investment Partners, Deutsche Asset Management, Fidelity International, Henderson Global Investors, Kempen Capital Management, NN Investment Partners, Robeco, and Pictet Asset Management. 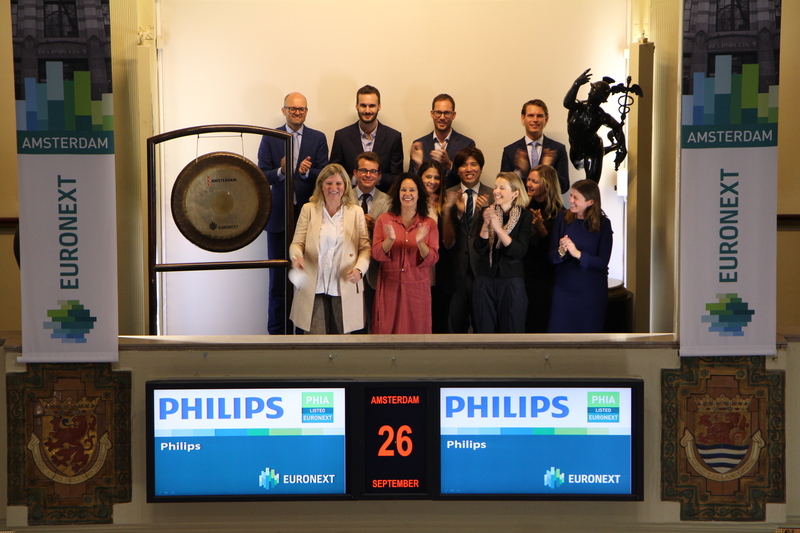 ENGIE (ticker symbol: ENGI), listed on Euronext Brussels and Paris, sounds the gong for the Sustainable Business Challenge. They do this in partnership with a delegation from the municipality of Leiden and SustainableMotion. For the fifth time, the Sustainable Business Challenge is organized by SustainableMotion; a project agency that believes in the transformation of young talent. Every year 100 young talents, with a realistic view, work on sustainability issues of companies that want to connect sustainability with their business. The program supports the talents in the out-of-the-box thinking and concretizing their innovative ideas. ENGIE is constantly looking for new sustainable solutions and new forms of cooperation, which is important for the energy transition. Therefore, the company, together with the municipality of Leiden, offers a challenging case: how do we make the Leiden station area 'the most sustainable entrance of the Netherlands'? ENGIE partakes in the Sustainable Business Challenge for the fourth time this year. Recently, Da Vinci Derivatives received a membership to Euronext Amsterdam. 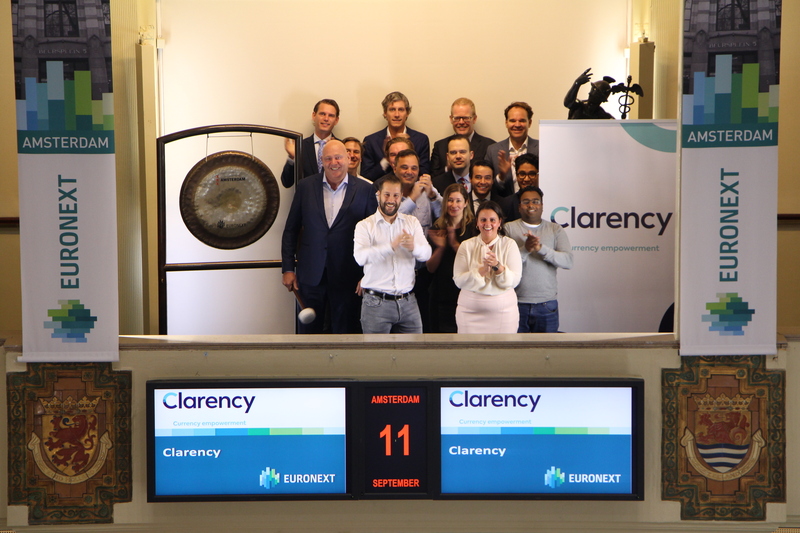 The company, located at Beursplein 5, celebrates this by opening the trading day at the Amsterdam exchange. Da Vinci Derivatives was founded by a group of traders, in 2015, as a company that manages for own account with equity contributions. Da Vinci identifies and handles financial derivatives with a short to medium-long maturity and with a strong focus on volatility. This means that multiple products are traded against each other based on correlations, but also that long/ short positions are undervalued or overvalued in various market segments. By focusing on building a corporate culture, in which ethics and the will to stand out take center stage, Da Vinci wants to grow in a responsible way. In the last two years, the company has grown significantly and with its membership at the Amsterdam exchange, it will continue this growth. 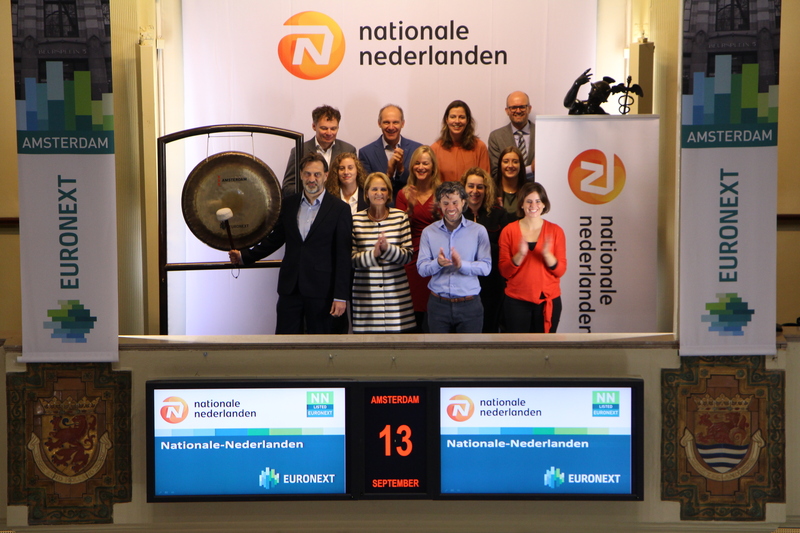 International insurance and asset management company Nationale-Nederlanden, part of NN Group and listed on Euronext Amsterdam (ticker symbol NN), sounds the gong after starting their fall 2017 advertising campaign. This campaign features portraits of truly unique Dutch people. For more than 150 years, Nationale-Nederlanden has been part of the Netherlands, and the people who live there. Truly unique individuals, yet who all have things in common. Nationale-Nederlanden wants to help the people of the Netherlands to reach their goals, both now and later. The ‘Your Later’ Service offers customers a complete overview and total control over their income later in life, so that they can continue to do the things that are important to them. And, with the Entrepreneurs Mortgage, entrepreneurs can apply for a mortgage and create their ideal homes, like everyone else. With personalized services like these, Nationale-Nederlanden helps every customer pursue their goals. Euronext listed ABN AMRO, Ahold Delhaize, and KLM, open trading together with ASICS and Le Champion, organizer of the Dam tot Dam Weekend, to mark the start of the ‘Dam tot Dam Weekend’ on 16 and 17 September. Frank van den Brink, Director Employee Experience at ABN AMRO, sounds the gong. During the weekend 87,000 athletes will be in action in four different Dam tot Dam-events. Saturday 16 September, 16,000 hikers will join the ‘Dam tot Dam Wandeltocht’, later that day the ‘Damloop at night’ will take place having 15,000 participants running a track through Amsterdam. The following day, 6,000 cyclists arrive at Dam Square for the start of the ‘Dam tot Dam FietsClassic’. To finish the weekend, 50,000 runners start the ‘Dam tot Damloop’. In total 150,000 spectators are expected to join the events over the weekend. ABN AMRO, ASICS, Ahold Delhaize, and KLM are sponsoring the Dam tot Damloop, which is the largest running event in the Netherlands. The Nederlandse Betaal en Wisselmaatschappij (NBWM/Dutch Payment and Exchange Company) sounds the gong for the opening of their officein Singapore 11 September. Miel van Blitterswijk will be at the head of NBWMs Asian and Pacific activities. Every year, about 70,000 children from divorced parents in the Netherlands hear that their parents are getting divorced. Parents think they are putting the child first, but in practice this often appears to be more difficult than thought. 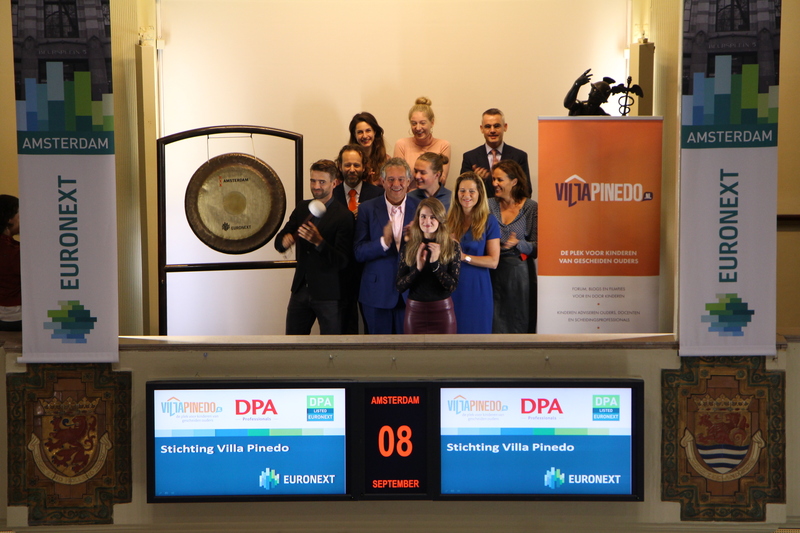 By sounding the gong, Stichting Villa Pinedo and ambassador Mark Tuitert ask for the attention of this fact during the Day of Divorce. They do this in partnership with, among others, the CEO of listed DPA, Eric Winter. On this day, Villa Pinedo and De Balie organize an afternoon program where children from divorced parents, policy staff, professionals and divorced parents are invited to have a dialogue with each other. Also, the premiere of the new 'Non-Task' TV commercial takes place. The prominent ETF providers in the Netherlands: Amundi, Deutsche Asset Management, SPDR ETFs, Think ETFs, UBS ETF and Vanguard celebrate the success of the Exchange Traded Funds in the Netherlands with the opening of the trading day at the Amsterdam exchange of Euronext. In the first half of this year, there was once again a record net inflow in the Netherlands and Europe. The day will end with an client event in Amsterdam. 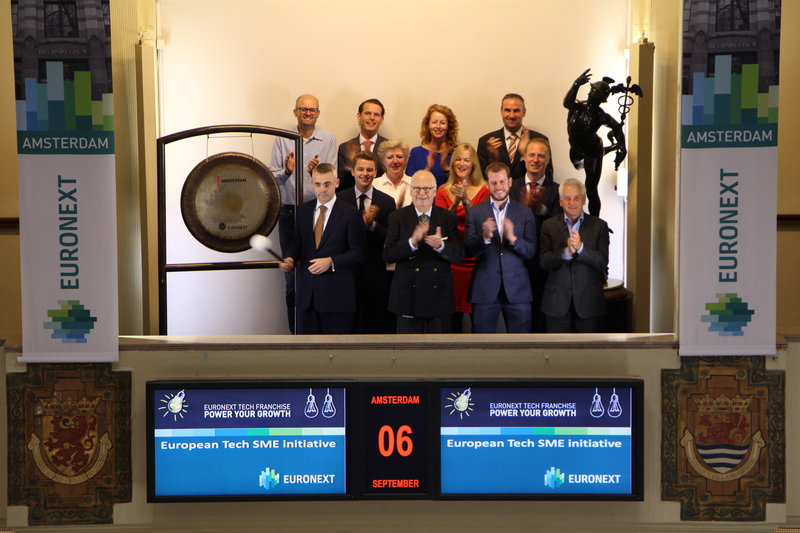 Euronext, the leading pan-European exchange in the Eurozone, sounds the gong after announcing the opening of new offices in five European cities outside its core markets – in Germany (Frankfurt, Munich), Italy (Milan), Spain (Madrid) and Switzerland (Zurich) – to assist Tech companies in developing their business on a greater scale through capital markets. The countries were selected for their growth opportunities in the Tech sector. 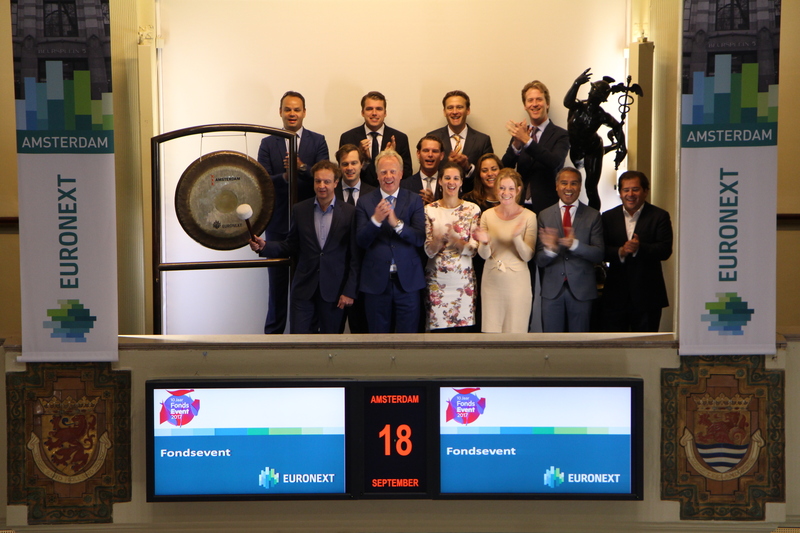 Euronext’s representatives in the new European countries will use their strong expertise and local networks to help entrepreneurs better explore their financing options, and assist with access to capital markets. They will be supported by a new European team of analytics and communication experts. 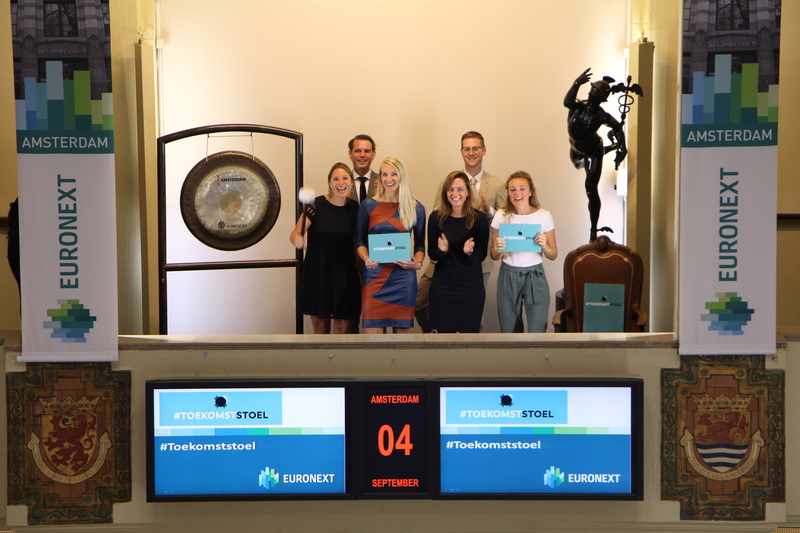 In the coming months, Euronext will extend the following Tech initiatives into the four new countries: TechShare, Morningstar® Equity research programme, and Tech 40 Label and Index. With more programmes following in 2018. ABN AMRO (ticker symbol: ABN) opens trading on the occasion of the opening of the circular pavilion; Circl. ABN AMRO has chosen to build Circl in a circular way to gain experience that it then shares with its customers. Almost all used materials in Circl are demountable and have been used before. For example, ABN AMRO employees collected 16,000 old jeans, which were incorporated into the ceiling as insulation material. The meeting rooms are surrounded by window frames from old offices that have been demolished. The furniture previously used by ABN AMRO was used and restored. In the building, sustainable DC is used and 500 solar panels provide energy. Circl fits perfectly in the sustainability ambitions announced recently by ABN AMRO, called Mission 2030. This makes the bank fully committed to the sustainability of its real estate portfolio and wants to bring it to average energy label A by 2030. With the opening of the trading day, Lizzy Butink (a.s.r. Real Estate Investment Management), Marianne Davidson (VolkerWessels Vastgoed), Pamela Logjes (Dutch Green Building Council), and Yvette Watson (PHI Factory), ask for attention to their new initiative: #Toekomststoel (#Futurechair). The interview between three ‘Future Leaders’ of the Dutch Green Building Council and Jan Terlouw became the start of a special mission. A mission inspired by a passage from Terlouw’s book ‘Het Hebzuchtgas’. They invite everyone to have an extra chair at each meeting, classroom, talk show, and even in Parliament. The chair can have a different meaning for everyone: it can offer a new perspective, a place of thought or something else. The sounding of the gong announces the sixth edition of the Amsterdam City Swim. By annually organizing a unique, impactful and social swimming event in the Amsterdam canals, the Foundation Amsterdam City Swim strives to raise as many funds for research into underexposed diseases. 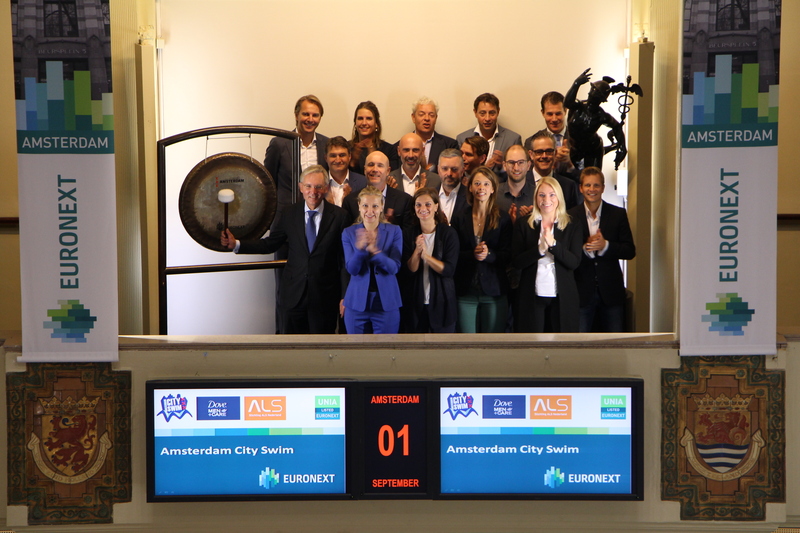 As long as there is no cure for ALS, the Amsterdam City Swim aims to raise money for the ALS Foundation in the Netherlands and draw attention to the disease ALS. Sunday September 3 the 6th edition of the Amsterdam City Swim takes place, and over 2500 adults and 300 kids will participate and swim in the Amsterdam canals to raise money for the ALS Foundation.